Are you a daily makeup user like me? No matter how many times I wash my face, there are certain makeup residues that are left behind always. These cannot be removed simply by a face wash, one definitely needs a good makeup remover that removes stubborn residues that get trapped in the skin pores. 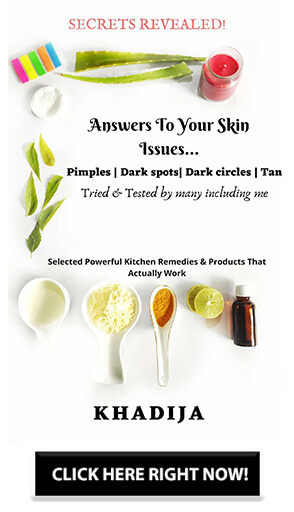 These residues can cause various skin problems like acne, oiliness and uneven skin texture. There are a lot of makeup removers available in the market, however choosing the right one is very essential. Most of the makeup removers available contain chemicals that can cause skin redness and surely not a good option for sensitive skin. I have recently got my hands on this very famous brand in Japan called Miniso, which has now stores across the country. Recently, they have launched skincare products and are now becoming very famous. I was lucky to get my hands on this Deep Cleansing Water from this brand. Read on to find out my reviews on this product by Miniso. Add extractive from aloe vera. Contains rich polyphenol to deeply cleanse pores and remove dirt and oil. Quickly dissovle dirt and makeup on your face. No need to emulsify it. Convenient and efficient. Water, glycerin, propylene glycol, polyglycerol 10, sucrose stearate, coconut oil alcohol polyether – 7, PPG-1-PEG-9 lauryl ether glycol (imported from Germany), sodium hyaluronate, Agave AGAVE AMERICANA stem extract, aloe extract, phenoxyethanol, hexanediol, flavor. Appy some on cotton pad, then wipe face gently and massage, rinse with clean water after thoroughly dissolve oil, dirt and makeup. The cleanser comes in a cylindrical tube which is transparent in color. It comes without any outer packaging, so all the necessary details are written on the bottle itself. 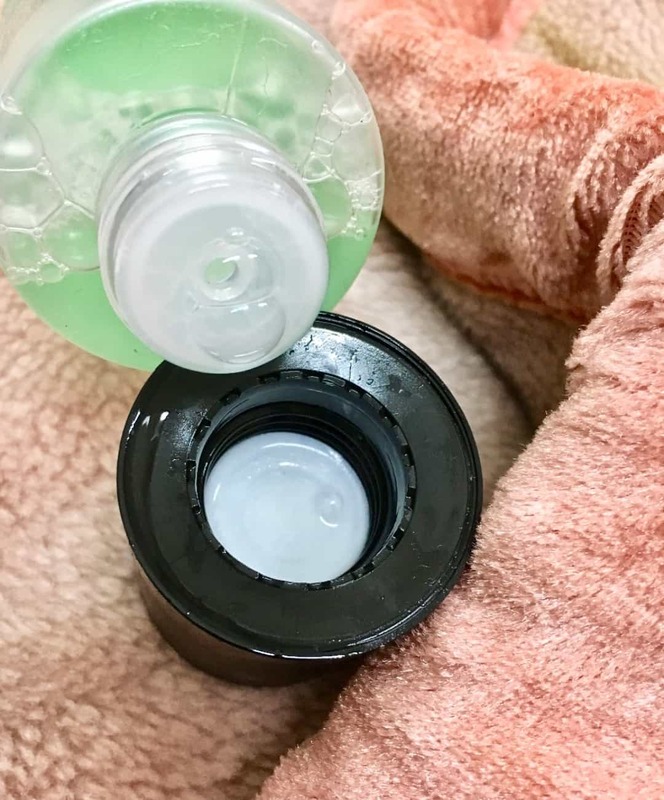 The product has a huge black screw cap, that seals the bottle well and prevents any leakage. Overall the packaging is quite hygienic and travel-friendly. 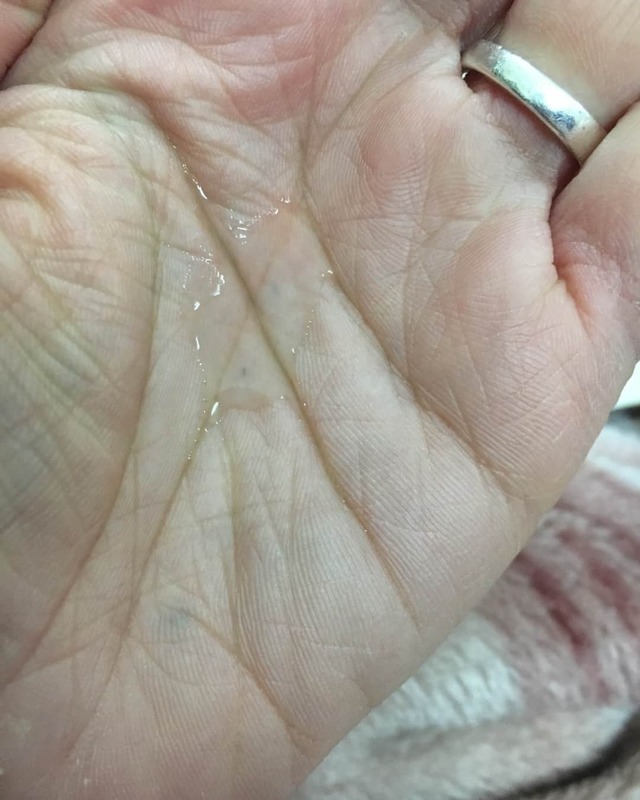 The product has a viscous liquid texture. It spreads easily with the help of cotton and does not take much time to get absorbed by the skin. It feels quite hydrating and does not cause any flakiness. The cleansing water comes in an absolute transparent form. People allergic or sensitive to cosmetic smells would really like this product as it has zero fragrance and feels like water on the face! I am using this cleanser daily, with the help of a cotton pad. I let it dry for some time and then rinse my face with normal water. After this, I use a simple lightweight moisturiser.T he cleansing water is extremely mild and does not make my skin dry or flaky. Most of the cleansers are quite thick and may cause skin redness because of the heavy drug formulation. 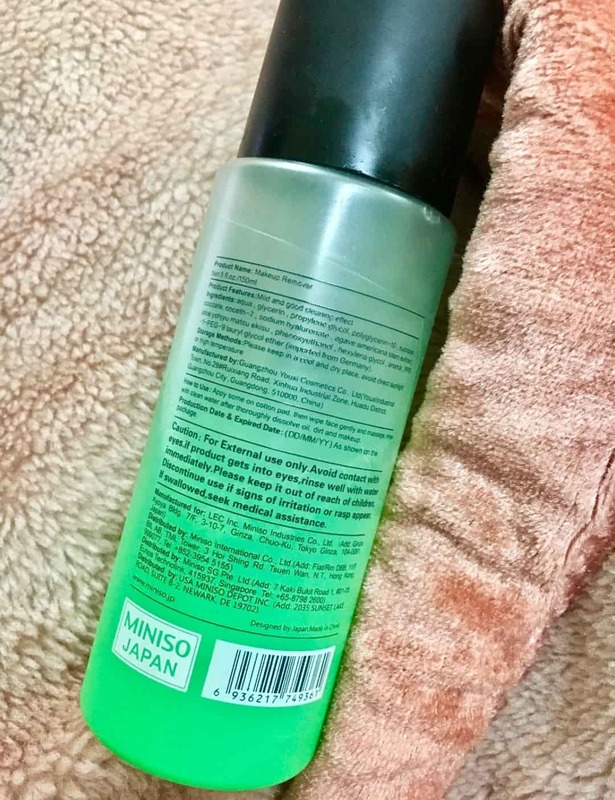 However this cleanser form Miniso is quite mild and does not have harsh chemical composition. I frequently use light makeup, for removing such makeup I prefer using a mild one. This prevents any unwanted makeup residue to be left behind and also prevents unnecessary acne related problems. This cleanser keeps my skin clean and healthy. In just one swipe, I can see the difference in comparison to the micellar water. It cleans my pores completely in one swipe, this ensures that my pores are healthy and prevents any blackheads from forming. People with oily skin wouldn’t like this product as it makes my skin slightly oily but I consider it as a blessing during winters when my skin is extremely dry. If you are using it as a makeup remover then wash your face with a cleanser after removing makeup. 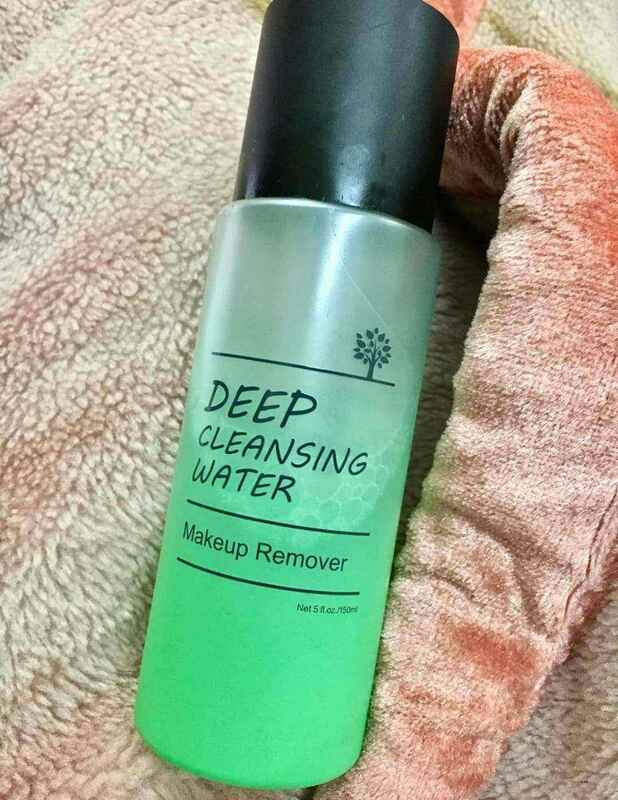 Would I recommend Miniso Deep Cleansing Water? If you are a light makeup user and are looking for a safe and hugest friendly cleanser, then stop by the shop called Miniso and grab your bottle of this cleansing water! 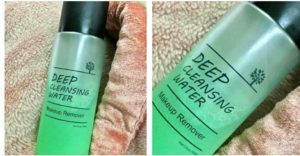 Overall the product that I was looking for, Miniso Deep Cleaning Water totally suits my skin type. It is safe of daily use and effectively removes daily wear light makeup. I would not say that it removes waterproof makeup since it is a mild makeup remover. It does not make my skin dry and keeps it hydrated even during winters. I am quite impressed by the gentle action of this cleanser as it feels extremely light and comfortable on my skin. Its a wonderful product by Miniso and is currently my favourite! Benefits of using organic makeup| Worth the Hype? Have you tried this or any of the miniso product? Let me know the comments below.